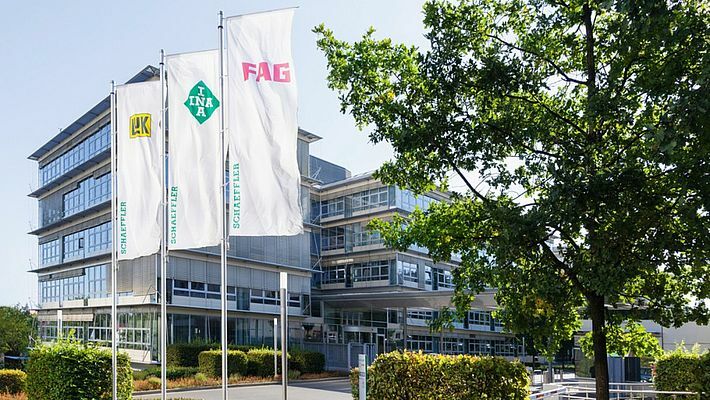 Schaeffler published its interim financial report as at June 30, 2017, confirming the preliminary key figures it had announced on July 18, 2017. The company grew its revenue by 3.8 per cent to approximately EUR 7.0 billion at constant currency (prior year: around EUR 6.7 billion), and generated EBIT before special items of EUR 780 million (prior year: EUR 859 million). The Automotive division increased its revenue by 4.2 per cent at constant currency in the first half of 2017, once again outpacing global production of passenger cars and light commercial vehicles, which rose by 2.6 per cent during the reporting period. The increase was largely driven by the Greater China region, which experienced a growth rate of over 20 per cent. As a result of slower growth in global automobile production and temporary supply chain shortages in the Aftermarket business, the second quarter was less dynamic than the first. The Industrial division experienced an encouraging second quarter, reporting revenue growth of 2.3 per cent at constant currency for the first six months. The power transmission and industrial automation sectors and the Americas and Greater China regions showed a particularly positive trend. On this basis, the company generated an EBIT margin before special items of 11.1 per cent (prior year: 12.8 per cent). Following a good start to the year with compelling results for the first quarter of 2017, the decline in second quarter earnings was largely attributable to the weak performance of the Automotive division. The Automotive EBIT margin before special items amounted to 11.8 per cent during the first half of 2017 (prior year: 14.2 per cent). In contrast, the Industrial division further stabilised its earnings in the second quarter. The EBIT margin of the Industrial business rose to 8.5 per cent during the first six months (prior year: 8.1 per cent). Net income for the first half of 2017 remained stable compared to the prior year period, amounting to EUR 485 million (prior year: EUR 494 million). Earnings per common non-voting share were EUR 0.73 (prior year: EUR 0.75). Free cash flow for the first six months of minus EUR 89 million was below the prior year amount of EUR 216 million. The decrease was primarily due to lower cash flow from operating activities for the first half of 2017, which was affected by factors including the decline in earnings in the second quarter of 2017 and additional cash outflows. For 2017, the Schaeffler Group anticipates revenue growth of 4 to 5 per cent at constant currency, an EBIT margin of 11 to 12 per cent before special items, and free cash flow of approximately EUR 500 million before external growth.